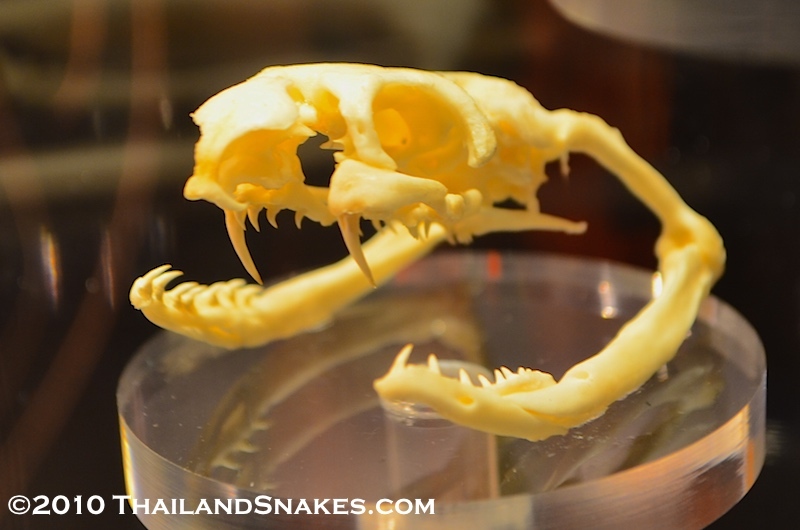 Skull from adult Monocled Cobra shows medium length, strong fangs. 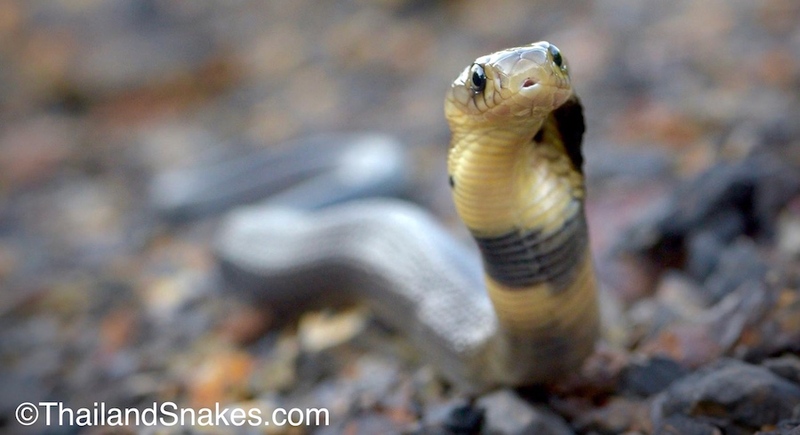 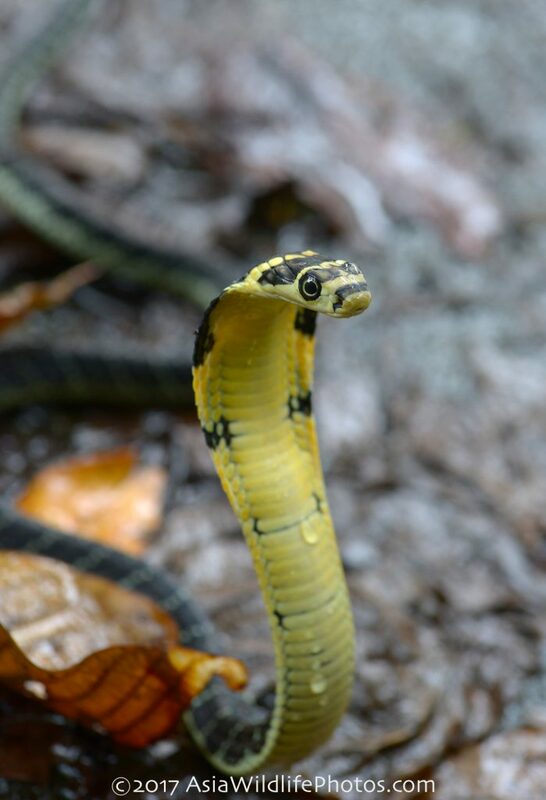 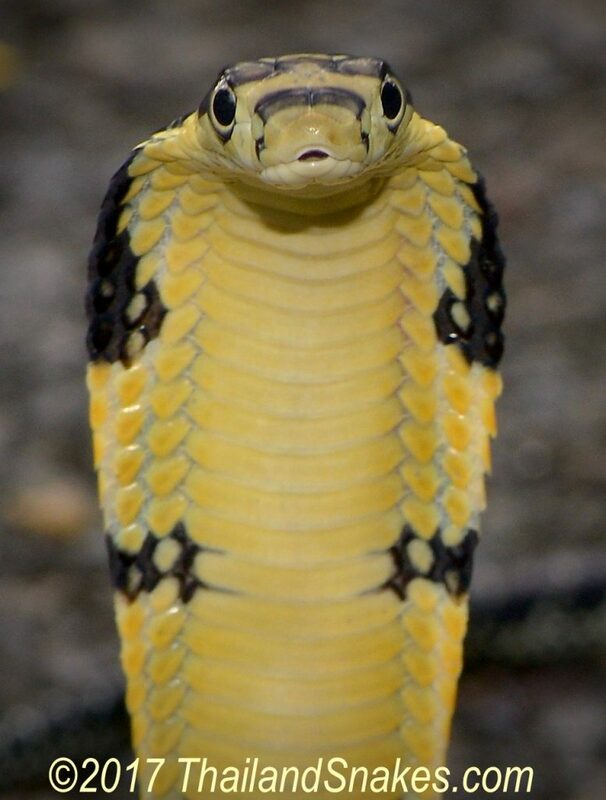 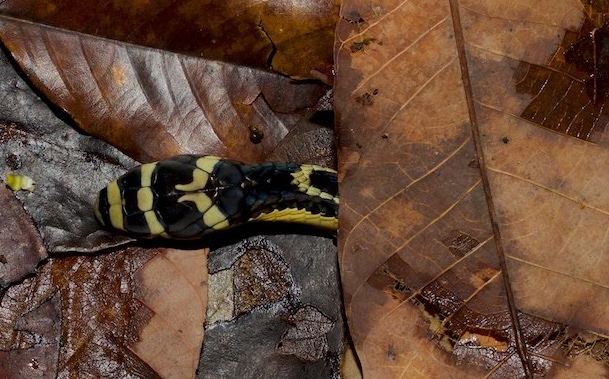 Hatchling yellow and black King Cobra snake. 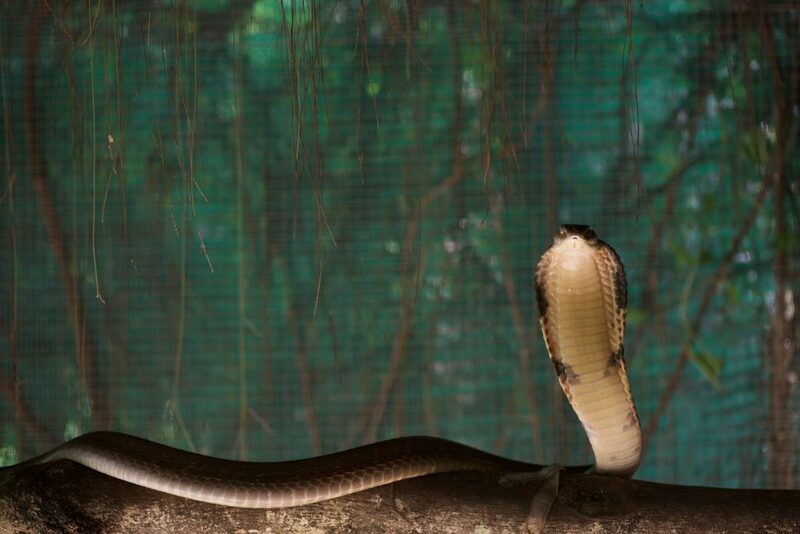 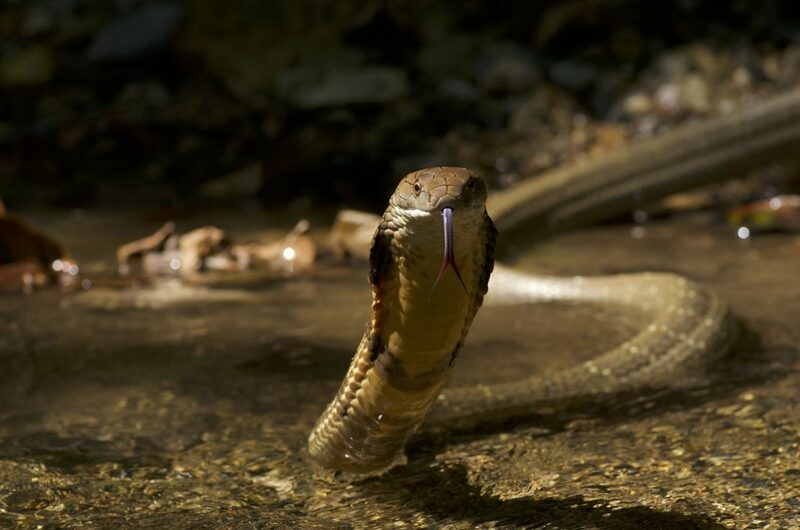 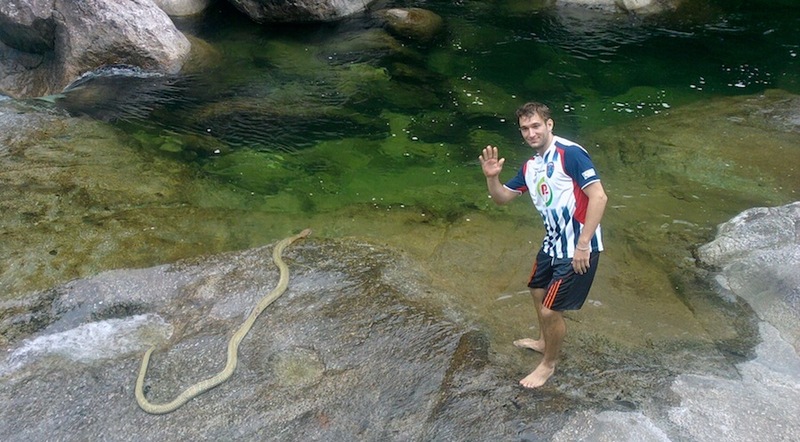 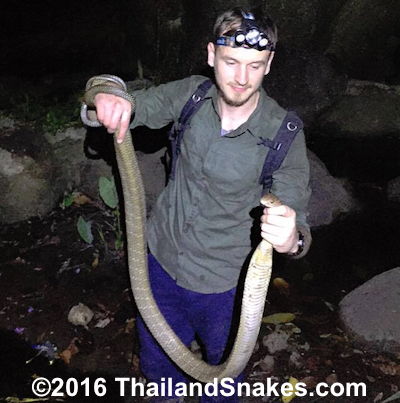 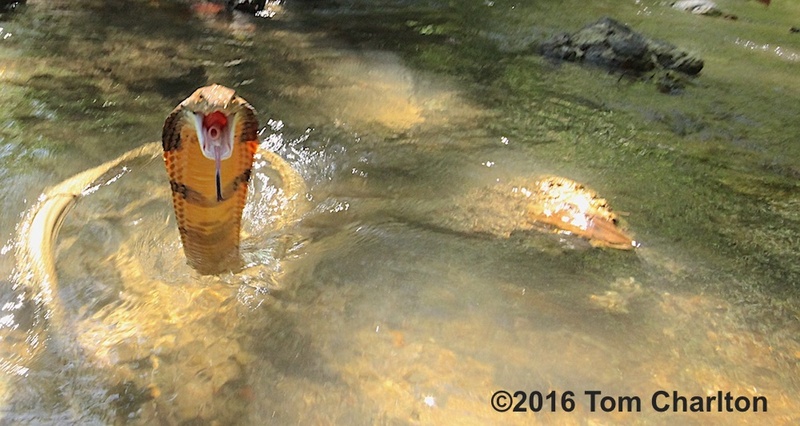 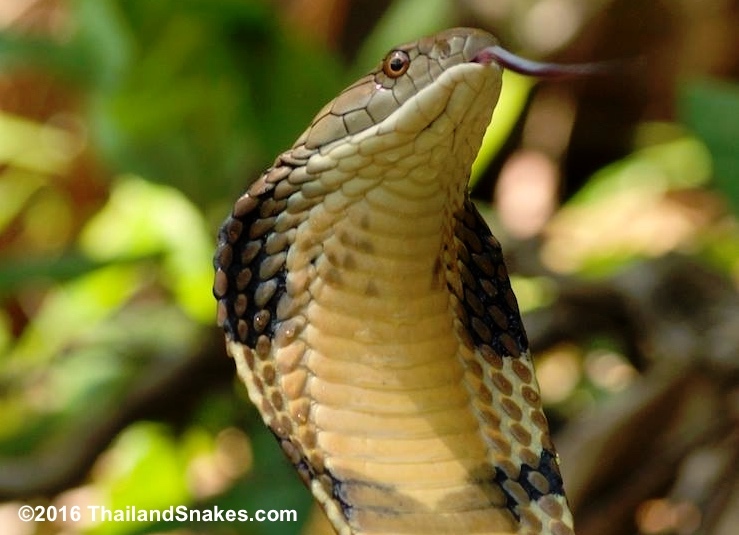 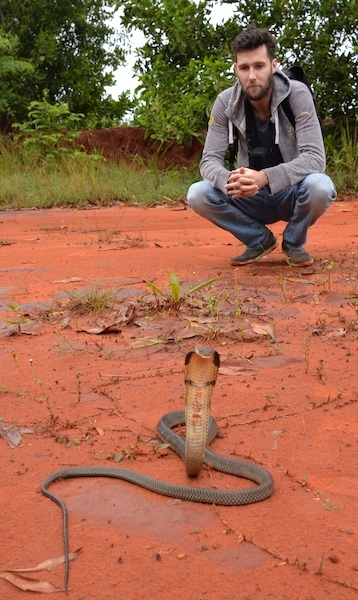 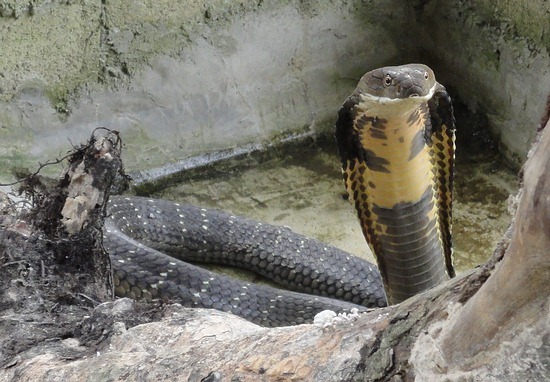 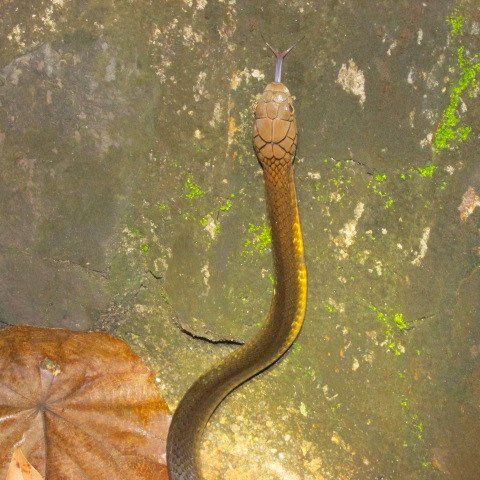 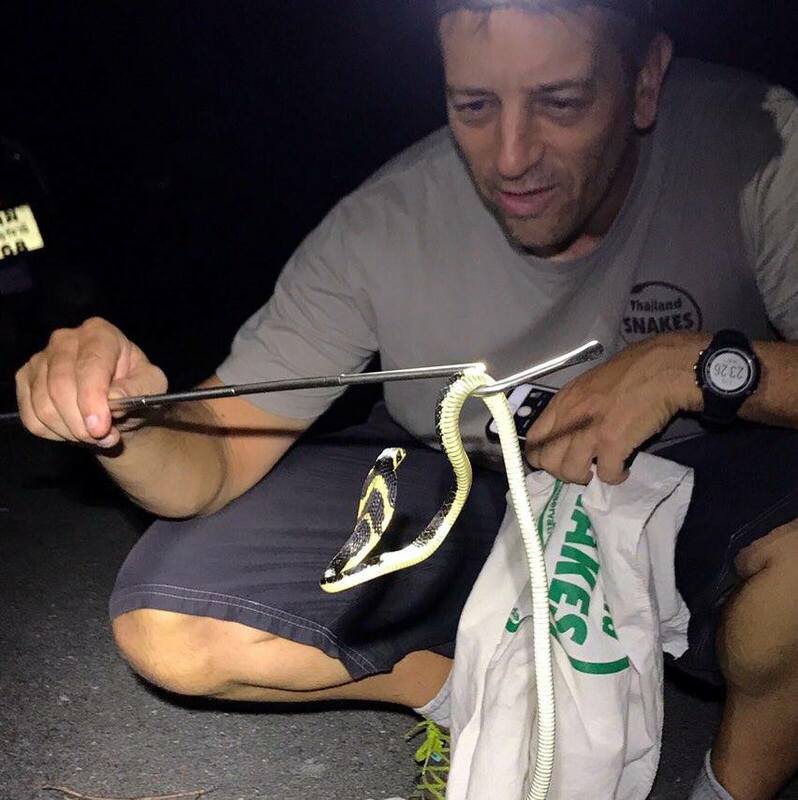 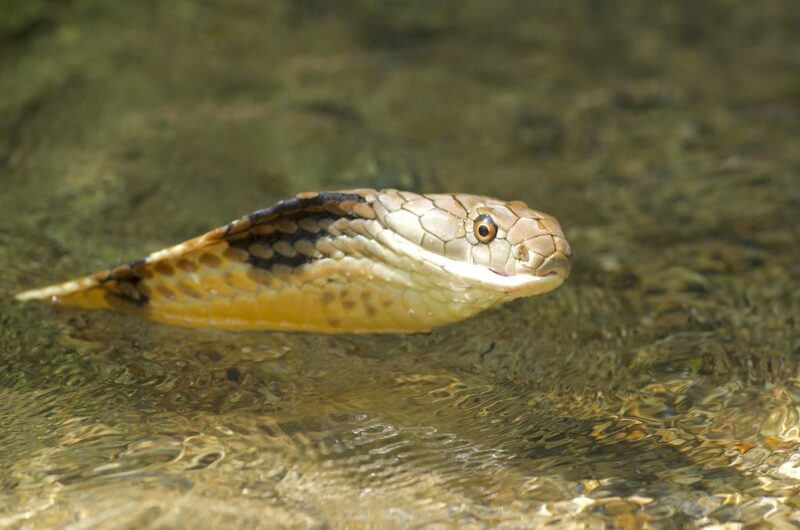 Releasing a monocled cobra at a mountain location after it was found in a populated area of a village in Thailand. 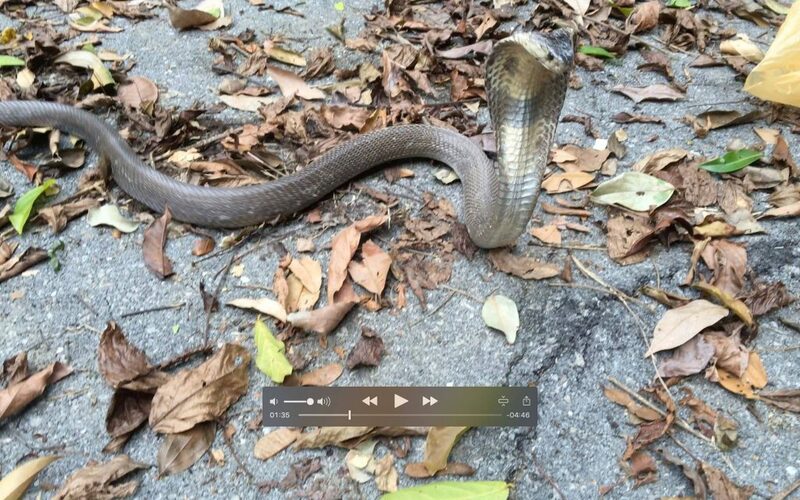 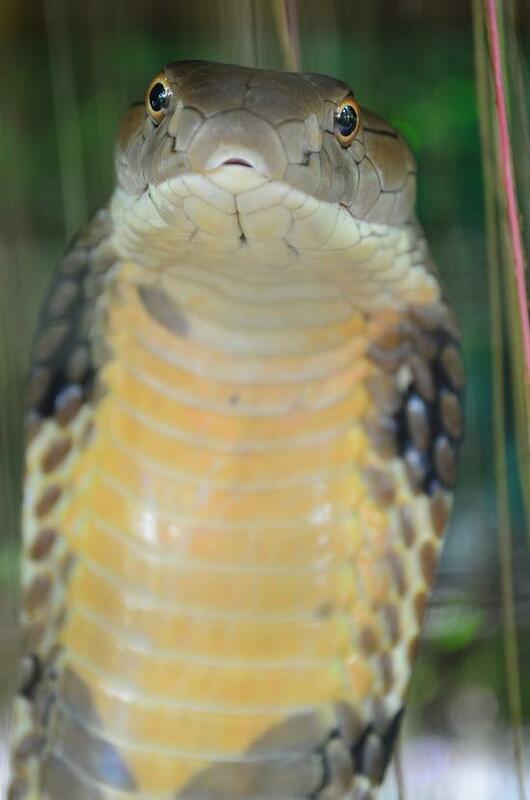 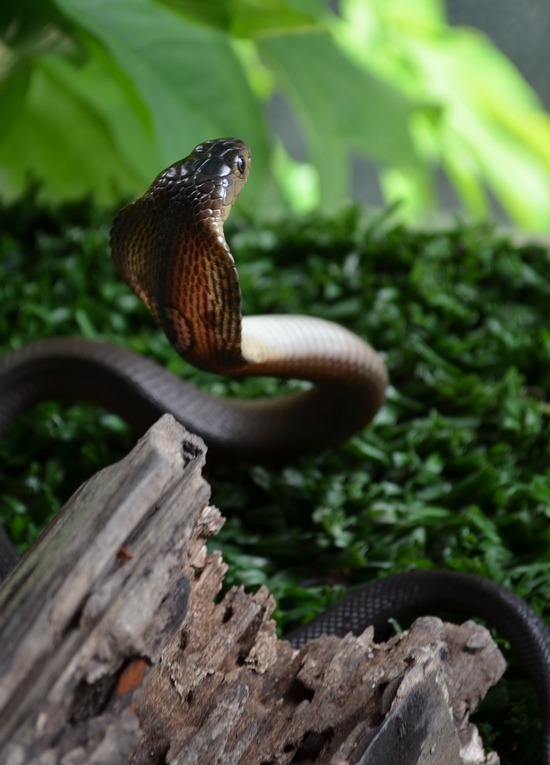 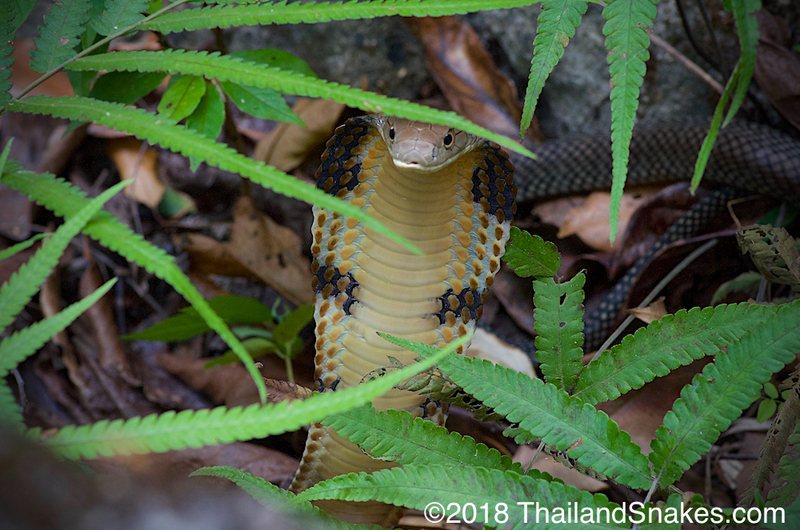 King Cobra juvenile, hatchling snake found in Krabi, Thailand. 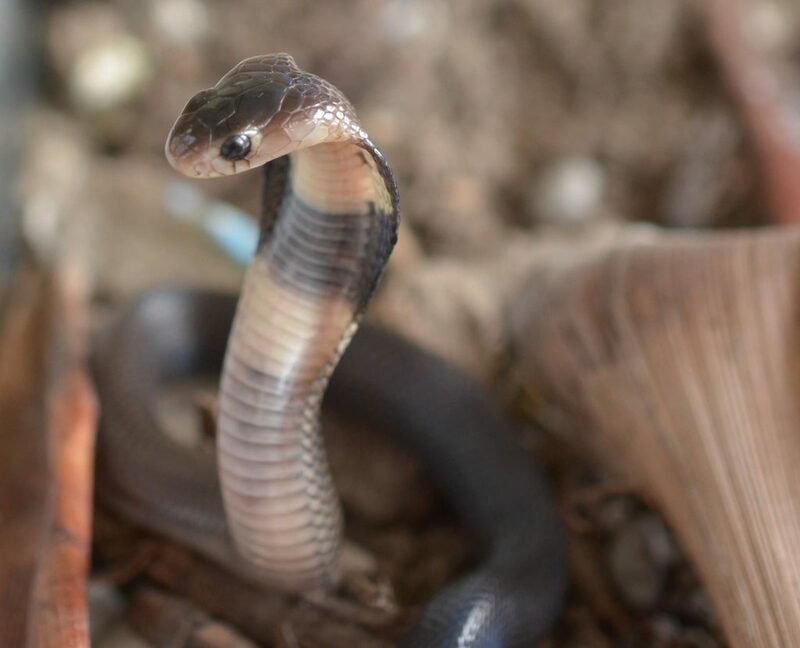 This snake is less than one month old, hatched from an egg.